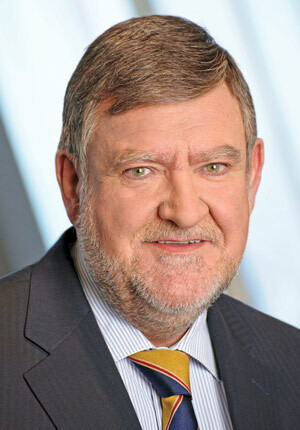 Herbert Stepic is the chief executive officer of one of the largest banking organizations in Central & Eastern Europe, Raiffeisen Bank International. Global Finance : What are the key events over the past 25 years that have shaped the current global economy? Herbert Stepic: The fall of the Berlin Wall and with it the end of communism in Central and Eastern Europe, as well as the economic opening up of China are key events that are still shaping the current global economy. The same holds true for the economic integration in Europe and the European Union (EU) in particular. From a long-term perspective, the economic integration inside the EU, already including a lot of CEE economies, is a success story. The foundation of the eurozone in its current dysfunctional design, for example, with a too-low degree of economic integration and convergence of stability cultures, is just one small piece of the whole economic integration in Europe. Definitely, from a historical perspective, the financial and the current eurozone crisis will also be considered as major events in economic history. However, from a medium-term perspective I am confident that we will see a strengthened and more-integrated eurozone emerging from the current crisis. GF : What are the key risks over the next five, 10 and 25 years? Stepic: Most emerging markets are still strongly dependent on developed markets, which are the driving force of the world economy. This point is of high relevance for the emerging markets in CEE as a lot of these countries are characterized by a fairly high dependence on financial and trade links with Western Europe, in particular Germany. From a long-term perspective, the emerging markets should try hard to avoid the political and economic mistakes we have seen in a lot of developed markets. GF: When Raiffeisen entered the region, it was considered a financial backwater. What was the bank's strategy? Stepic: When we first decided to enter CEE, we were—as we are still—absolutely sure that this region will offer tremendous growth potential. It was a logical step because of our historically good trade relations with the countries behind the former Iron Curtain. We knew that these countries combine the demands and needs of emerging markets with a functioning infrastructure and excellent education. Considering the economic outlook for CEE, which is underlining the region's growth potential especially in comparison to Western Europe, our business focus on CEE and Austria has proven to be the right one. CEE provides a structurally attractive environment with economic growth rates that are above the average of the eurozone. Despite the current debt crisis, our analysts from Raiffeisen Research forecast a growth differential of CEE in comparison to the eurozone of around three percentage points. GF: What future reforms would you like to see in CEE? Stepic: The major challenges we are currently facing are often-contradictory requirements set by different regulators, for instance the European Banking Authority, and levies introduced by governments in order to strengthen their budgets. But we will successfully cope with these challenges. What we need, however, is regulatory alignment and governments that create sustainable structural reforms instead of establishing populist taxes. We still need a higher degree of legal certainty in some markets, and we need a strong effort by governments to assist building local capital markets. Should all this be achieved, CEE will remain a highly attractive market.